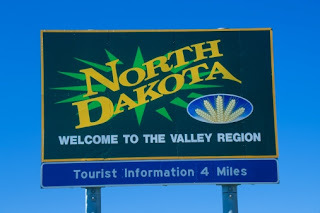 North Dakota Preps • View topic - PAT 4 MOD 2007! Well that's enough about it guys. If someone posts enough, no matter how objective they are, eventually someone will take offense to something said. As for the "silly titles" there are only 2, NDpreps all-pro, and NDpreps Hall of Fame. They are taken seriously by me, if nobody else, in appreciation of their established membership and their ability to post within the rules. It's simple if you don't want to be recognized for it, then don't ask me. I don't want anything to do with running these boards. But when moderators start merging their opinions with their responsibilities then the forum becomes slanted. If everyone likes project pat then anyone who disagrees could be overly punished. Baller is right, Moderators have no restrictions on how they post. As for project-pat, he is not a moderator. He's a good member, who sometimes posts before he thinks, but otherwise he is always welcome here. Any decisions about future moderators will be made by me and the current mods. Thanks gentleman, have a nice day! NDSportsFan wrote: Baller is right, Moderators have no restrictions on how they post. They don't need to be objective on how they post. I'm talking about being objective in their duties. I'm saying that mods shouldn't favor one member over another. I don't think anyone is favored on here, if that were the case, why isn't project-pat a moderator?